Trial By Sapphire: When Fridays Are "Saturdays"
1.) When Fridays are "Saturdays," I am a happy woman. Mr. TBS and I are off from work today! We're taking the furry ones to the vet for their annual check-up this morning, and then I'm a free woman! Wahoo! 2.) Per usual Day-After-Thanksgiving tradition, we got our Christmas tree! Autumn and Christmastime make us giddy. 3.) This ornament was part of my birthday package from my sister back in September, and I love it! 4.) 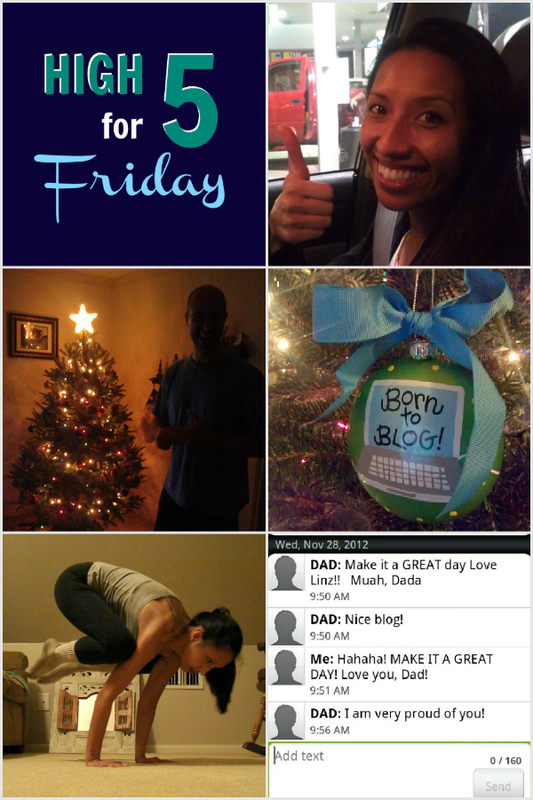 Doing the November #YogaADay Instagram challenge has been awesome. I've surprised myself a number of times. Who knew I could almost do Crane pose?! Not me. P.S. The Firmoo giveaway ends tonight at 12:00 a.m.! I'll contact the 25 winners via e-mail. Good luck! Big thanks to Firmoo! When I saw your blog ornament I decided that I wanted one :) I'm hoping to find some time to get my tree this weekend...it's my first time getting a REAL one and I can't wait! What a clever ornament! I'm totally stealing that idea for my etsy shop! Your Dad is so sweet :) enjoy your day off! Love that ornament, so cute! And look at you with the yoga pose!! Way to go! Again, you are a beast. I still can't do that. I have always had the worst upper body strength. Today's my Saturday too! Wahoo! Love it. Have yourself a wonderful weekend! SOOO jealous of your day off! I had to cover for PFF today ;) Hope the kitties are nice and healthy! I die over that ornament. Have a great rest of your weekend! that ornament is perfection! hope you have a great weekend! Awwwww your Cmas tree... adorbs!!! I love how they instantly overwhelm our radios with Cmas music day after Thanksgiving... makes the time really REAL!! And your born to blog ornament... adorbs! !